The ads that are targeted should, therefore, be related to the content that is contained on the web page serving the ad. 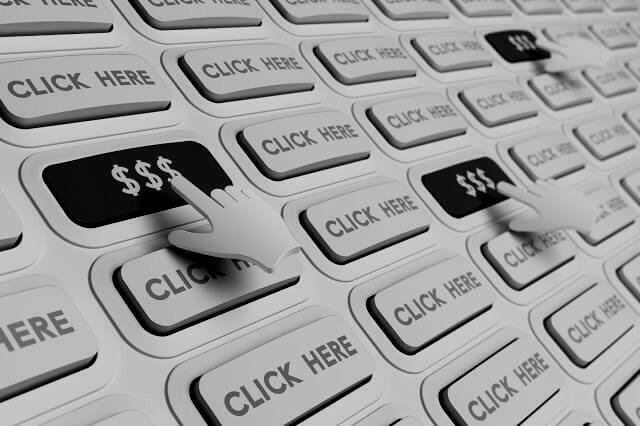 If a visitor clicks on an advertisement, the webmaster serving the ad earns a portion of the money that the advertiser is paying the search engine for the click. The search engine is the one handling all the tracking and payments, providing an easy way for webmasters to display content-sensitive and targeted ads without having the hassle to solicit advertisers, collect funds, monitor the clicks and statistics which could be a time-consuming task in itself. It seems that there is never a shortage of advertisers in the program from which the search engine pulls the Adsense ads. Also, webmasters are less concerned by the lack of information search engines are providing and are more focused on making cash from these search engines. Why Adsense is essential for content sites is that it already has come a long way in understanding the needs of publishers and webmasters. Together with its continuous progression is the appearance of the more advanced system that allows full ad customization. Webmasters are given the chance to choose from many different types of text ad formats to better complement their website and fit their webpage layout. The different formatting enables the site owners the possibility of more click-through from visitors who may or may not be aware of what they are clicking on. It can also appeal to the people visiting thus make them take that next step of looking up what it is all about. This way the people behind the Adsense will get their content read and making a profit in the process. The ability of the Adsense publishers to track not only how their sites are progressing but also the earnings based on the webmaster-defined channels. READ 5 Ways To Improve Your Adsense Earnings. The recent improvements in the search engines give webmasters the capability to monitor how their ads are performing using customizable reports that have the capacity to detail page impressions, clicks, and click-through rates. Webmasters and publishers can now track specific ad formats, colors, and pages within a website. Trends are also easily spotted. With the real-time reporting at hand, the effectiveness of the changes made will be assessed quickly. There would be time to sort out the contents that people are making the most clicks on. The ever-changing demands would be met while generating cash for the webmasters and publishers. The more flexible tools are also allowing webmasters to group web pages by URL, domain, ad type or category, which will provide them some accurate insight on which pages, ads, and domains are performing best. The advertisers have realized the benefits associated having their ads served on targeted websites. Thus increasing the possibility that a prospective web surfer will have an interest in their product and services. All because of the content and its constant maintenance. As opposed to those who are not using Adsense on their sites, they are given the option of having other people do their content for them, giving them the benefit of having successful and money-generated websites. Adsense is all about targeted content, the more targeted your content is, the more target the search engines’ ads will be. There are some webmasters and publishers who are focused more on their site contents and how best to maintain them rather than the cash that the ads will generate for them. This is the part where the effectiveness is working its best. There was a time when people were not yet aware of the money to be achieved from advertisements. The cash generated only came into existence when the webmasters and publishers realized how they can make Adsense be that generator. In those days, the content were the most important factors that are taken quite seriously. It still is. With the allure of money, of course. Previous Post5 Ways To Improve Your Adsense Earnings.